It’s just a short walk to the base of Mountain House, and a shuttle ride to River Run village, so Greg and Nadia spent a day on the slopes, making good use of the EpicMix by getting an iconic photo up at the Dercum summit, followed by a couple races down the EpicMix Race Course to see how they sized up to Lindsey Vonn’s time! Snowmobiling is one of Keystone’s most popular activities outside the resort. Book a colorado snowmobile tour through Keystone Activities & Dining located in River Run Village or call 800-354-4FUN (4386), and they will pick you up and shuttle you out to the snowmobile location. 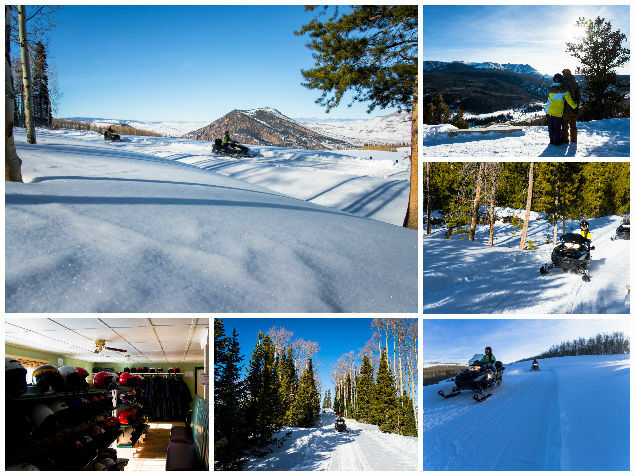 Choose between High Country and White Mountain’s Colorado Snowmobile Tours, you can’t go wrong with either option. Nadia and Greg chose the “Adventure Tour” where they each got their own snowmobile and gained some serious elevation resulting in incredible 360 degree views! 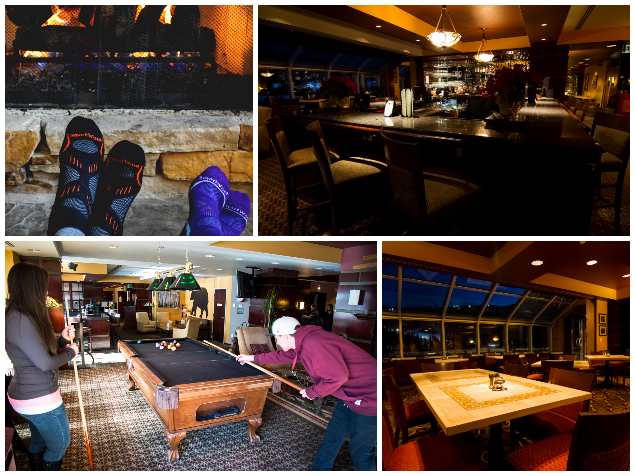 After a day on the snow, they cozied up in the lobby and warmed their toes by the fire before playing a couple heated games of pool, and then enjoyed a relaxing dinner with a view at the Black Bear Grill, which is conveniently located on the first floor of The Inn. 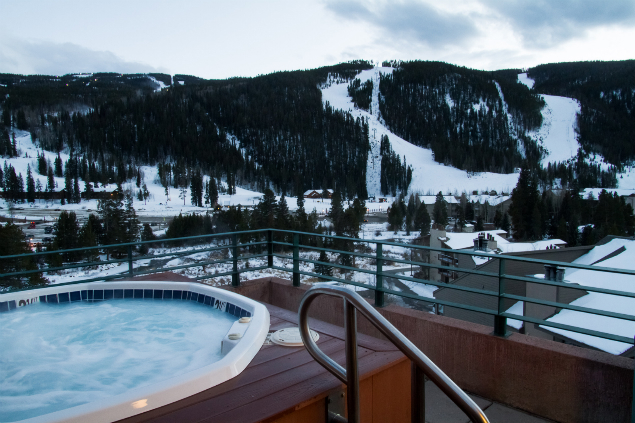 Nothing is better than capping off the day with a soak in a rooftop hot tub with stunning views of Dercum Mountain and Keystone Valley. Cheers! 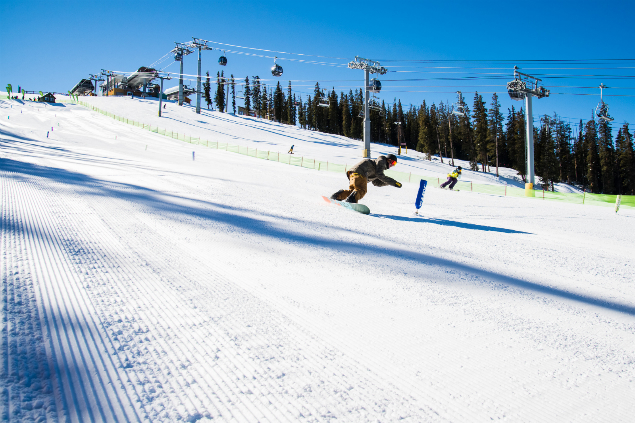 Kids Ski Free – Stay 2 nights, kids 12 and under ski and ride free! Learn more about Kids Ski Free, here. Play for Free – Book 2 nights or more get free night skiing/riding on your day of arrival during normal night ski operation, free admission to ice skating and 20% off rentals at Dercum and Keystone Lake Ice Rinks, and free Nordic Trail admission. Oh, and you get free cookies at check-in! 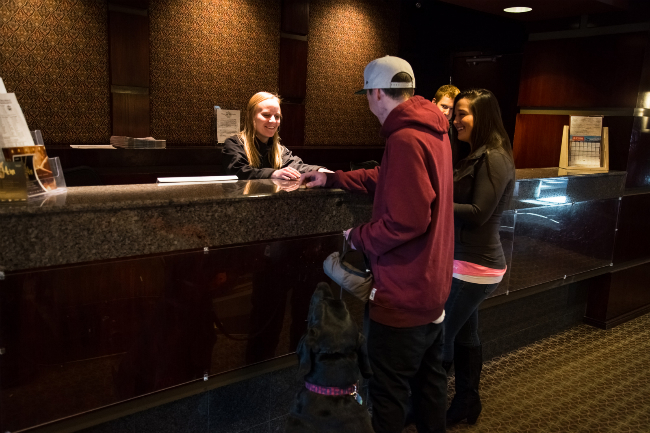 One stop shop- We can reserve your full vacation including airfare, ground transportation, lift tickets, rentals and Ski & Ride School. We will save you time plus provide the convenience of all of your trip details in one confirmation document. Book your vacation with us on the Keystone Website, or call (855)-556-6785. 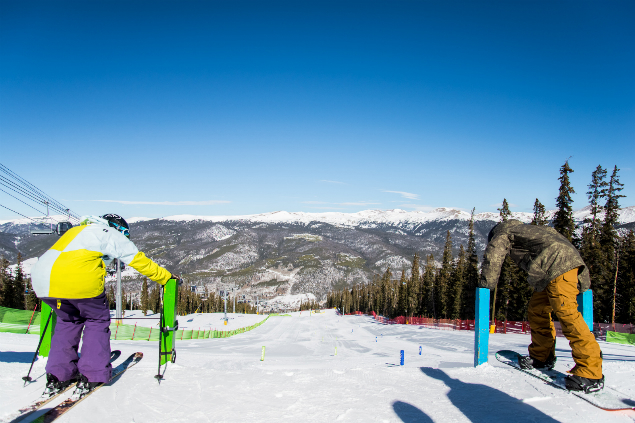 Booking through Keystone Resort Property Management provides the most value because we run the mountain too!